Summer has arrived in Nepal and with it the notoriously muggy, thick monsoon weather that descends upon man, woman and beast like a heavy, humid blanket. Not surprisingly, the monsoon months of June through August don’t exactly attract hordes of trekkers and hikers to Nepal. Most people envisage high temperatures, heavy rains that wash out bridges and turn roads and paths into boundless “slip-n-slides”, frequent transportation delays, elusive mountain views and leeches in abundance. Fortunately for the summer wanderer, some routes along the Great Himalaya Trails lie in the rain shadow, a dry area on the leeward side of a mountainous area which blocks the passage of rain-producing weather systems. While favorable forecasts in these areas are not 100% guaranteed, they will generally receive much less rain. To help you plan your summer trek in Nepal we’ve put together a list of treks along the Great Himalaya Trails to ensure drier feet and sunnier dispositions. 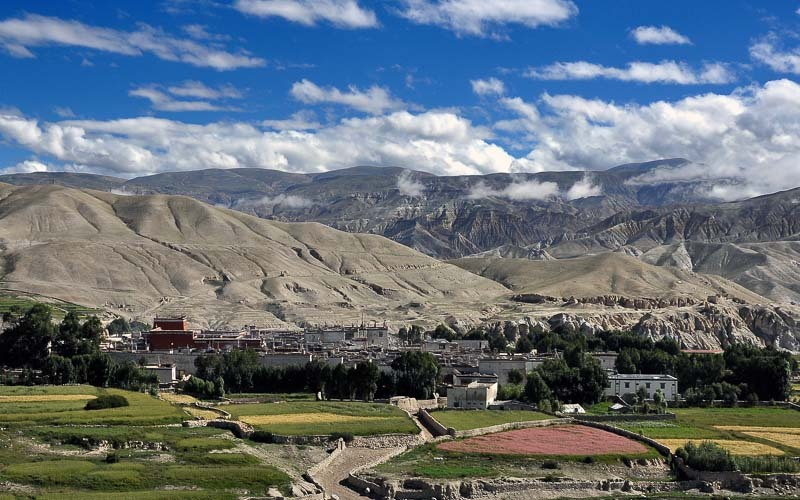 The high-altitude arid lands of Mustang on the north side of the Annapurna massif create a sharp contrast to the monsoon lushness on the south side of the rain shadow. The Upper Mustang Trek leads through the bottom of the deepest gorge in the world, the Kali Gandaki gorge, to the top of 4,000 meter mountain passes. It snakes through sparsely scattered Buddhist villages, along the rim of steep canyon walls, past hidden caves and red-walled monasteries, all the while with the dramatic backdrop of impressive 8,000 meter peaks. One of the highlights on this trek is getting to the forbidden kingdom of Lo-Manthang, one of the last examples of living Tibetan culture. While the trek itself will be relatively dry, the difficulty lies in getting there. The heavy July rains can make the road to the trail head in Jomsom impassible and flights can be affected by weather delays caused by strong winds, rain and cloud cover. If you have the time to add some buffer days for travel and the budget (roughly $400 return trip), flights are usually the best option for this season and region. Until about 30 years ago, not much was known about Dolpa in the outside world. 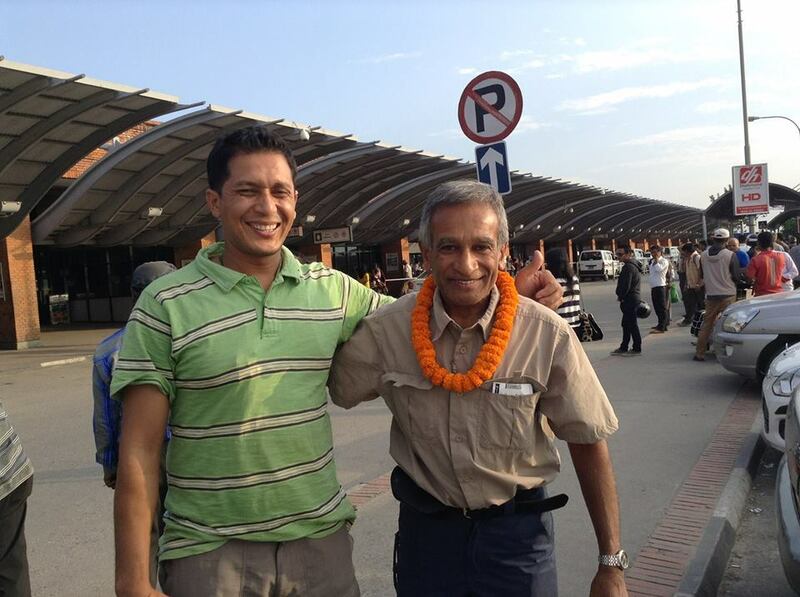 The region was closed to foreigners until 1989 and to this day only receives a fraction of the visitors coming to Nepal for trekking. It’s an incredible natural and cultural experience for those longing for a bit of secluded adventure. Nepal’s deepest lake, Phoksundo (145 m), lies nestled in the arid high-altitude landscapes of Dolpa and is one of the most beautiful natural tourist destinations in Nepal. If time allows it’s worth spending a day or two admiring the views and exploring the lake and surrounding areas. Doesn’t Miss Tshowa monastery on the east bank of Phoksundo Lake where traditional worship still takes place. Rara National Park may be the smallest National Park in Nepal but it’s also home to the biggest lake in the country (and the highlight of this trek), Rara Lake. This remote region in western Nepal can be challenging to get to as the road conditions and flight departures are subject to weather disruptions in the lowlands. While not as dry as Mustang and Upper Dolpo, the crystal clear waters of Rara Lake and the surrounding alpine meadows, spotted with exotic Himalayan flora that can only be seen in the summer time, make it a worthwhile trip even if you do have to face the occasional showers. 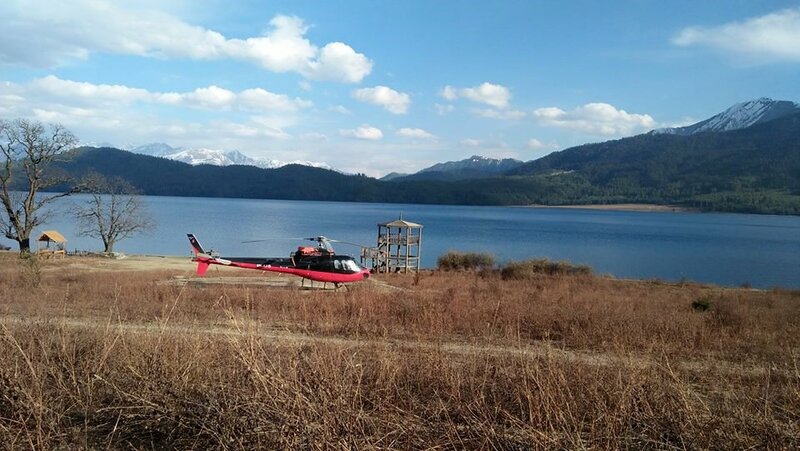 Despite the natural beauty on offer in this remote part of Nepal very few tourists find their way here, in fact, there are more species of birds around Rara Lake than annual visitors! 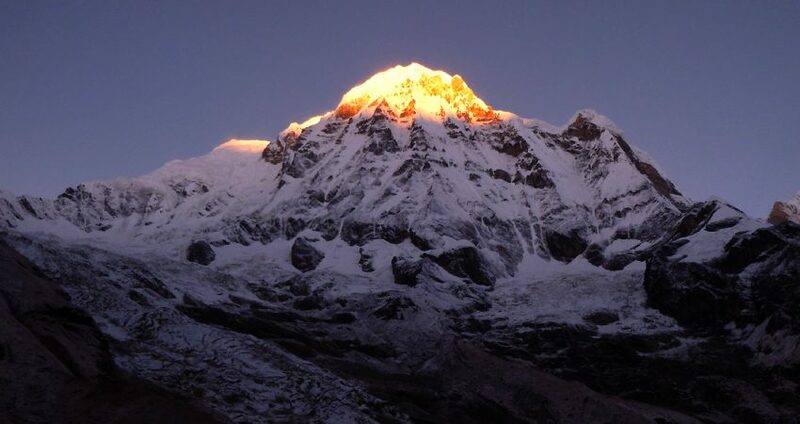 Annapurna Conservation Area is one of the most popular places for trekking in Nepal, for good reason. It’s relatively easy to get to by road or air via Pokhara, the trails are well-marked, welcoming tea houses serving steaming dal bhat and delicious apple pie line the well-trodden trails and the views of the Annapurna mountain range are unbeatable. 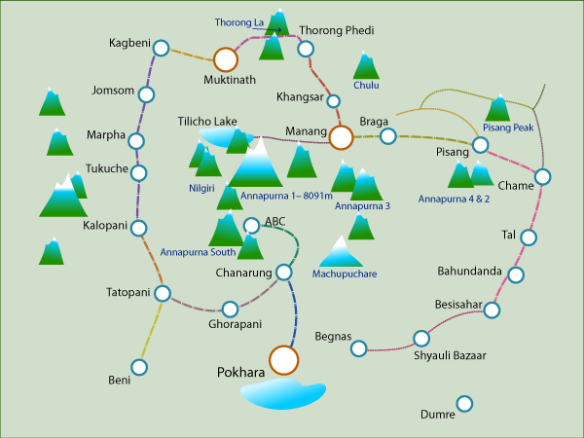 Significant parts of the Annapurna Circuit lie in the monsoon curtain and will therefore be rather wet and slippery but the upper parts toward Manang and over the challenging Thorong La pass crossing into Muktinath in lower Mustang will be significantly dryer and well worth the effort. Humla is the most remote district in Nepal. Adventurous trekkers who seek to venture off the beaten track and have panoramic mountain views all to themselves are drawn to this isolated region of Nepal. Especially if you go in the summer you’re probably more likely to run into the elusive snow leopard than a fellow trekker! The Limi Valley trek follows the ancient salt trading and pilgrimage route to the border of Nepal and Tibet. Entering the rarely visited Limi Valley with its incredible red rocks capes and medieval stone villages is like stepping back in time. Due to its isolated location, the villages are untouched by modern development and so the accommodation available to trekkers is simple lodgings in authentic, small Buddhist villages and camping amidst the snow-encrusted mountains.